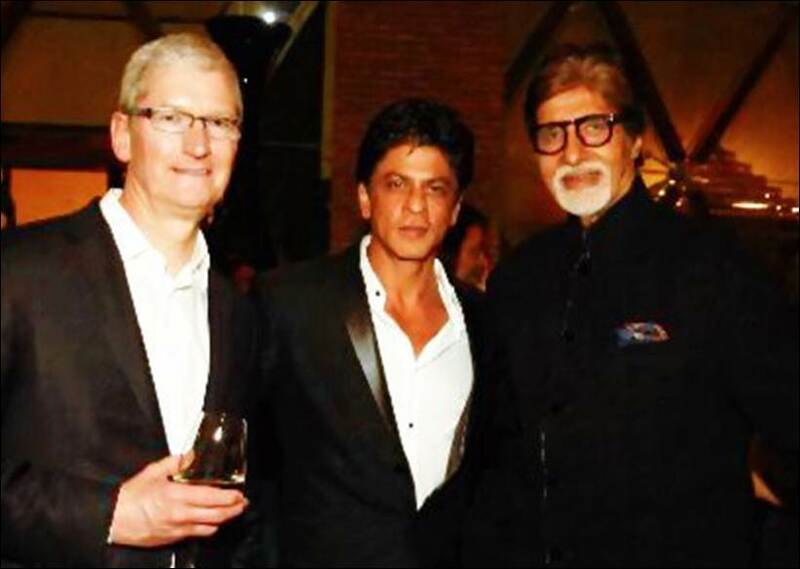 Tim Cook, Apple’s CEO, is visiting India. 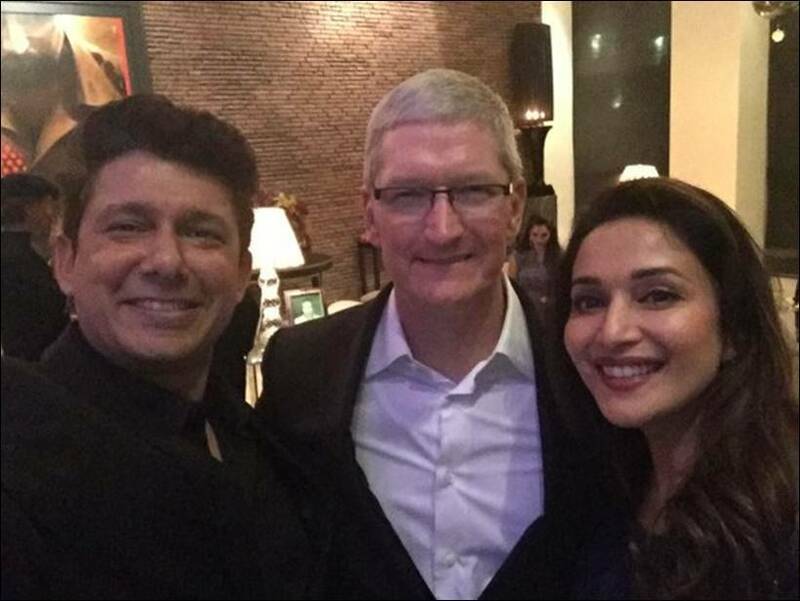 He’s making all kinds of statements about expanding the Apple presence in India, so everyone is very excited. And last night, Shahrukh hosted an “intimate” dinner party for him at Mannat. Doesn’t this look more fun than when the royals came? For one thing, people were allowed to move around and talk. 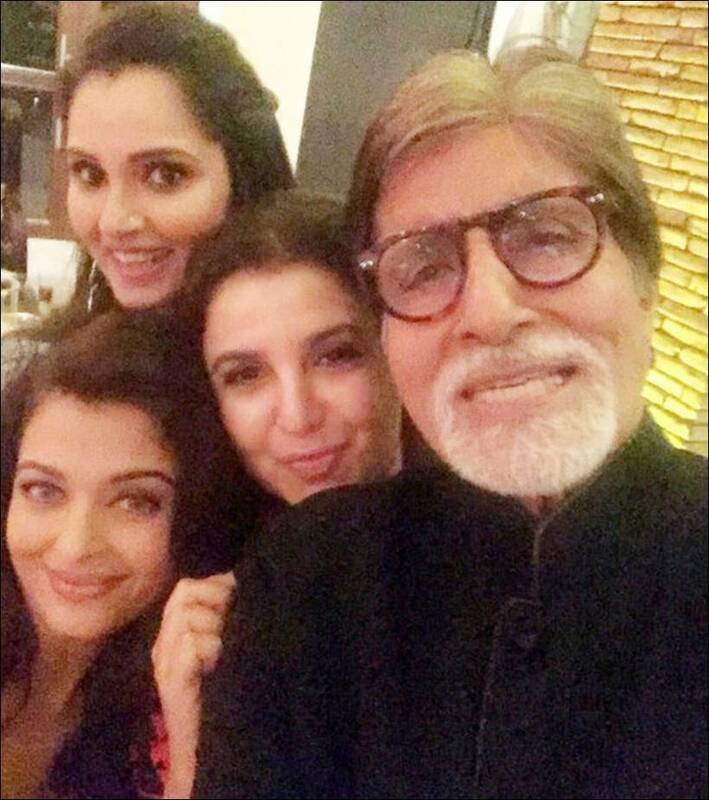 For another, it was a big enough deal that Amitabh Bachchan and Aamir came, instead of staying home and ignoring the invite like they did for the royals. And for a third, it was at Mannat, not the Taj, and I bet Shahrukh served alcohol! And also, people could take photos! No stiff formal pictures dribbling out from official sources, just happy selfies posted for the world to see on twitter. I have so many thoughts about this! First, that India is really putting it’s best foot forward for Apple, but also Apple is up for it. Tim Cook went to a film set, a temple, all sorts of places, and has the same open and interested reaction to them all. Unlike the western press, which is delighted to bring us headlines like “Tim Cook Wants to Sell iPhones so Badly He Prayed to an Elephant God!” So, good for Tim Cook! To be open and interested in everything. Second, my first thought was that Shahrukh’s dinner party was a cover, that an Ambani was going to sneak in the backdoor to make an under the table deal with Apple in a neutral location. Because why would an Apple CEO want to meet this people? But looking at these pictures, first, not an Ambani in sight (unless I’m not recognizing him), and second, I can see a business advantage to meeting all of these people. Rahman might make him a jingle, Amitabh or Sania Mirza could be a new brand ambassador, Farah could direct an ad, and so on. India treats the movie industry people as embarressing and “low-class”, like the Royal Visit which gave them detailed instructions on how to behave before they could come to the party, but in business, there is no class. 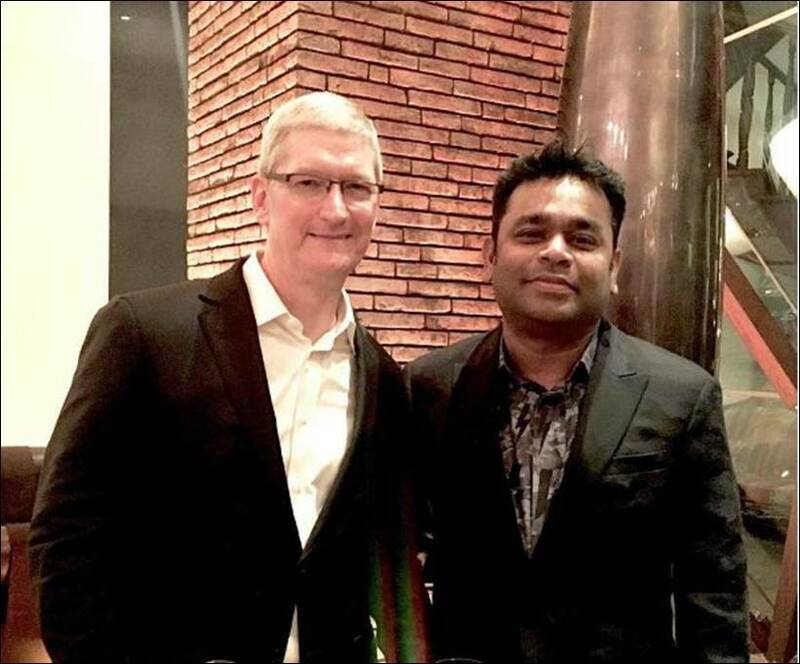 And all these movie stars are some of the most important connections Tim Cook is going to make if he wants to break harder into the Indian market. 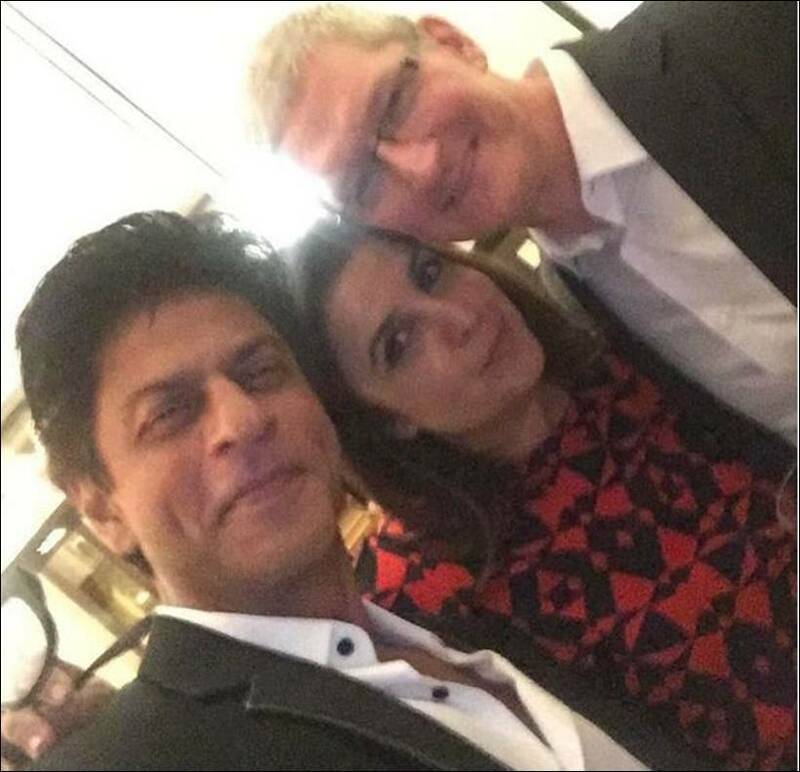 Especially Shahrukh himself, not only is he a valuable possible Brand Ambassador, his production company can do post-production on ads, he could promote iPhones at his theme park, heck, he could just plain invest in Apple! He is the second richest entertainer in the world, after all. This entry was posted in Shahrukh and tagged Aamir Khan, amitabh, Apple, Filmi News You Can Use, madhuri, Shahrukh by mredlich21. Bookmark the permalink.